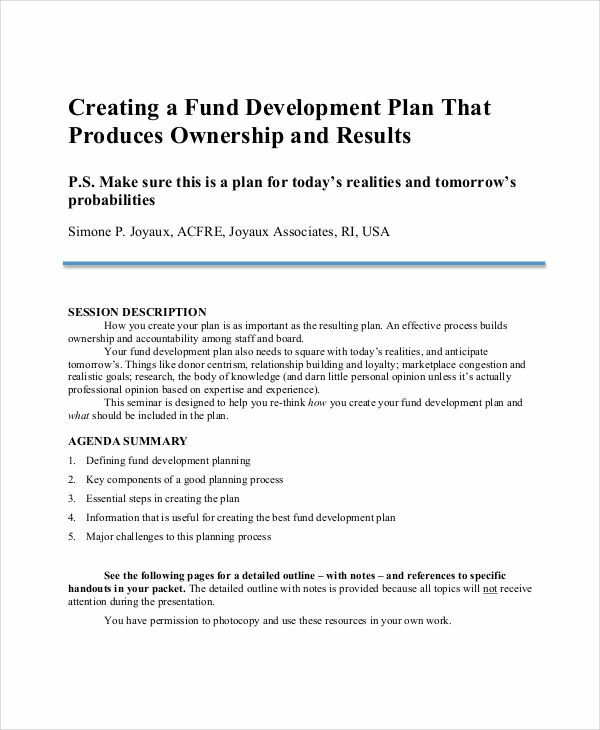 Plan examples are effective tools that provide the information and steps we need to consider in order for our tasks to be completed successfully. Planning ahead of time has become a habit of some people, especially those who are dealing with a pretty hectic daily schedule. Planning can increase an individual’s productivity and effective outcomes. This is because planning will enable one to anticipate the things which might affect the flow of things in the future, and effectively manage them. A project plan, for instance, gives a detailed plan of the necessary measures for a successful project completion. 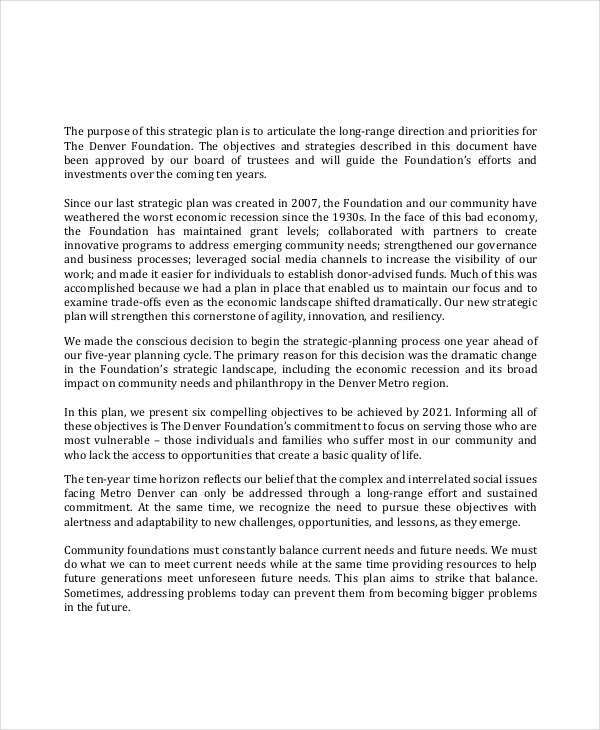 What Is a Nonprofit Plan? 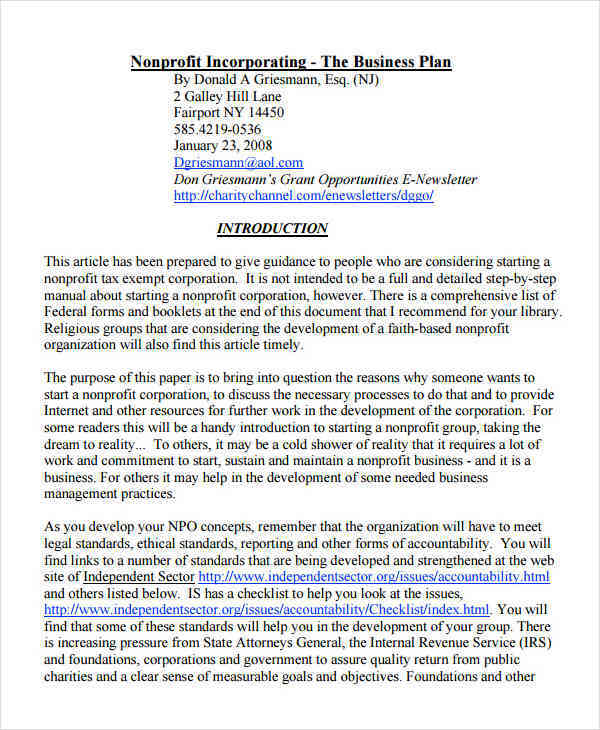 A nonprofit plan is typically devised for nonprofit organizations. 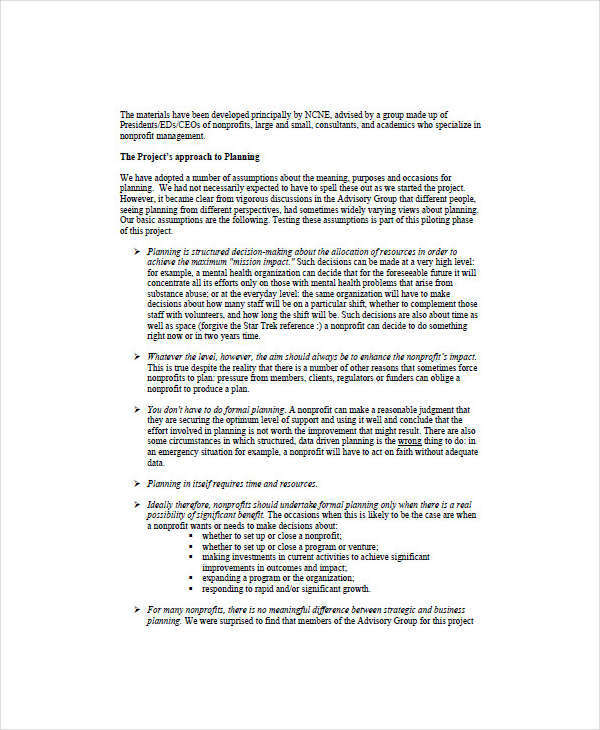 Like other plans, nonprofit plans gives a detailed layout of a nonprofit organization’s future projects and activities. 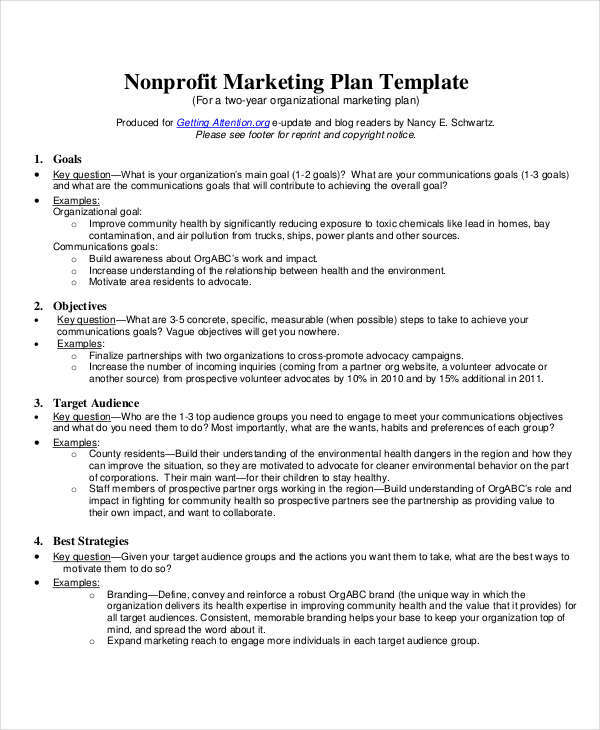 A nonprofit marketing plan, for example, lists the goals, objectives, and targets of a nonprofit organization, including the approach they plan to use in meeting the outcome they desire. A nonprofit plan is the one nonprofit organizations usually follow in order to establish their goals and meet their desired outcomes. In having a nonprofit plan, the organization carefully plans which direction to take, and how much time and resources to allocate in every simple business plan. With this, they can easily manage their time and resources, and avoid wasting them. Aside from that, planning allows the organization to think ahead of the strategies and approach to use in their future plans. Also, planning ahead will enable the organization to forecast the processes they need to undergo to be able to grow as an organization. In creating a nonprofit marketing plan, one needs to widen their thinking scope in order to be able to consider the things that need to be considered. Identify goals, objectives, and targets. 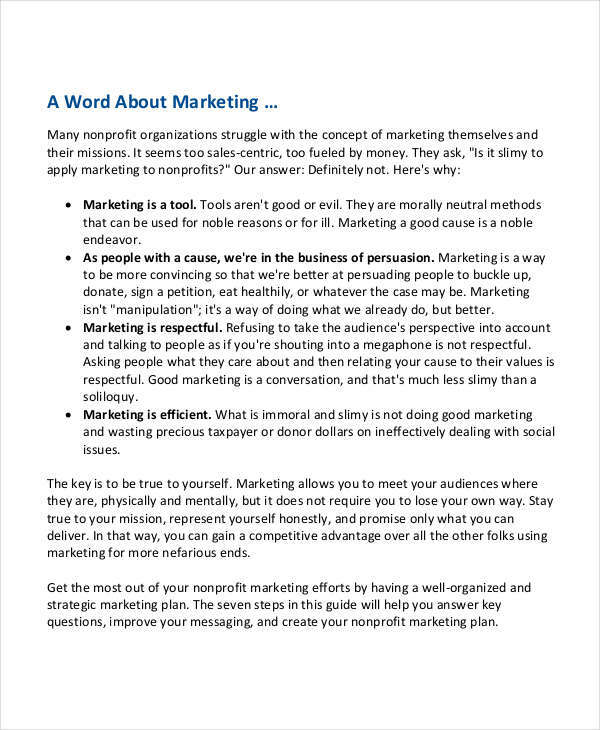 These are the first things you need to consider when creating your nonprofit marketing plan for business. Considering these things will motivate you into conducting a successful planning. Learn about the organization’s strengths and weaknesses. These will guide you on the approach you need to make in order to craft a successful plan. Determine the strategies and tactics. Identify the most effective things to do if you want your plan to be a complete success. The tricky part of this is identifying whether a strategy or tactic will work or not. Know how much resources and time shall be used. This is to make sure that resources and time shall be properly allocated without wasting them. Anticipate events which might change the course of your plan. Of course, things happen when we least expect them. 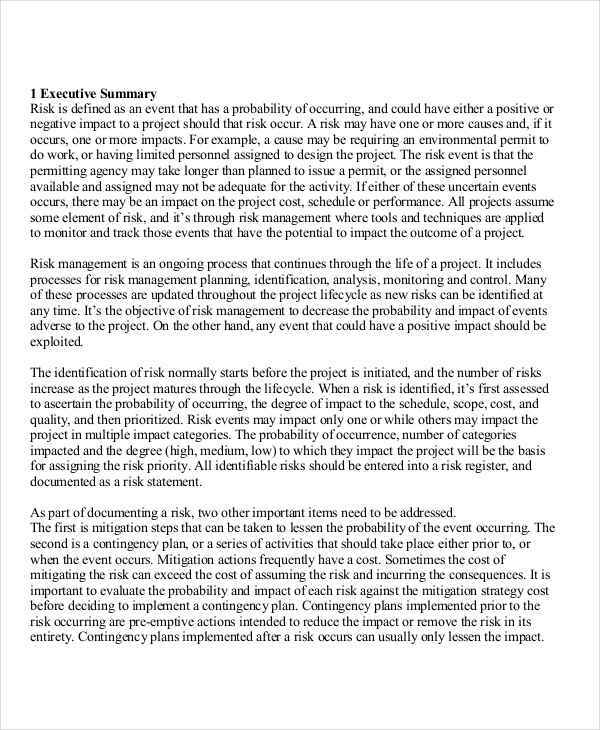 So it is best to foresee these event plan on how to manage them. Create a back-up plan. This goes without saying. You need to create a few or a lot, just to be on the safe side. Improve your plan as you go. As you go, you’ll learn a lot of things. Plans fail a few times, but use the experience to create a more effective plan the next time.